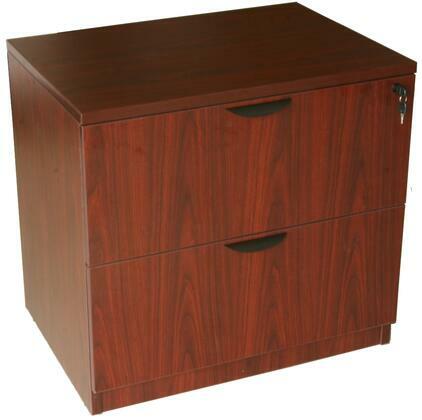 The two drawer locking lateral file come full assembled and can be used either free standing or under a desk shell. The floor glides allow for application where the flooring may not be perfectly level. It is finished in the Cherry, Mahogany or Mocha laminate.